Yes, when most people think about books based in West Virginia, usually Homer Hickam’s Rocket Boys comes to mind. Note that this was the book that inspired October Skies, the movie (with Jake Gyllenhaal, of course). Don’t get me wrong, it’s a good book, but there’s more out there. It’s time to note the literary landmarks of West Virginia. The question is: If you were to take a literary road trip of West Virginia, what should you see? Point Pleasant, WV– an entry point into the state at the Ohio River. For better or worse, Point Pleasant has been associated with the Mothman monster, and thus, John A. Keel’s book The Mothman Prophecies about the infamous monster that supposedly terrorized the population and prophecized the collapse of the Silver Bridge across the Ohio in 1967. Note, this was the book that inspired the Richard Gere movie. Of course, before John Keel came along, Gray Barker was writing about the bizarre. His book on Mothman came first, along with other books focused on UFO’s. 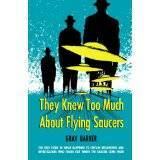 As a self proclaimed UFOlogist, Barker helped add to UFO lore, including his book They Knew Too Much About Flying Saucers, which would lead to the introduction of the men in black as paranormal investigators/men in suits seeking information. This, of course, inspired the movie franchise. If you’re interested in Gray Barker and his role as a writer (and sometimes trickster), the Clarksburg public library has his collection of personal documents for visitors to see by request. of new technology. This tale inspired Colson Whitehead’s John Henry Days, focused on both the legend and the celebration of John Henry Days in Talcott. Historically speaking, you can’t overlook Harper’s Ferry, West Virginia, where, in 1859, the abolitionist, John Brown attempted to overthrow the town and free the slaves within. 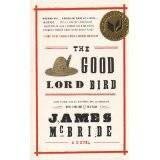 There are so many important books on this event and man, including James McBride’s National Book Award winner, The Good Lord Bird. I need to mention Glenn Taylor’s work here (Note: I gotta admit, he’s a friend, but I’d recommend these books to anybody looking for an Oddysey with true conflicts of U.S. history). 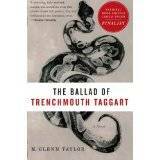 Taylor’s work, including the mining wars in The Ballad of Trenchmouth Taggart and the red light district of Keystone, WV of 1910 in A Hanging at Cinder Bottom displays the deeply complex culture of West Virginia’s history when the state felt like an Eastern version of the Wild West. You can travel over to Keystone yourself, or check out the West Virginia Mine Wars Museum in Matewan, WV. For nonfiction lovers, consider following the New River. Noah Adams tackled this journey in his book Far Appalachia: Following the New River North. And, believe it or not, if you happen to follow this river from its southern point up as Adams did, it will drop you back at Point Pleasant and the Ohio River. 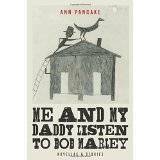 While you are on your trip, read Ann Pancake’s work. Her short stories, her essays. All of it. Me and My Daddy Listen to Bob Marley came out in February. This is a great window into Appalachia. And I could go on. There are books based in this state that many people forget about (Shiloh. Yes. You remember Shiloh), and a mass of culture. So much, so, in fact that I’m guessing I’ve overlooked a landmark that’s incredibly important here. What other literary landmarks of West Virginia are important for people to see?